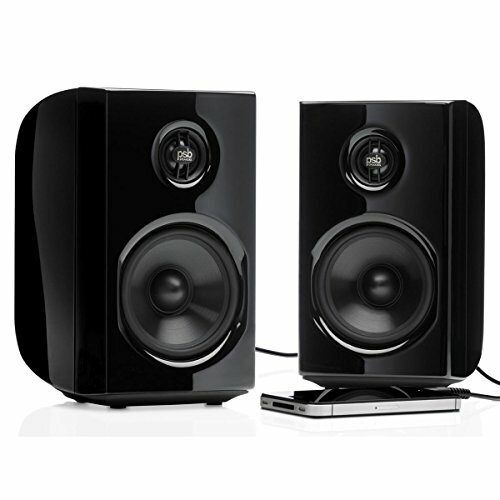 Sporting a 3.5" metalized polypropylene cone and oversized magnet structure, the alpha PS1 boasts a ¾" aluminum tweeter. The alpha PS1 also includes a highly efficient 2 x 20W power amplifier. The universal power supply Works with any AC voltage making it convenient for world travelers. Its curvaceous organic form is functional as well as beautiful, allowing maximum internal volume for good bass response. The alpha PS1 combines the amplifier and speaker together into a complete system solution design like no other. Finding separate amplifiers and speakers with this level of performance, at this price, would be impossible. Add in the small size, beautiful high gloss finish, and exceptional flexibility, and you have a speaker that is perfectly in sync with today's world.